to enable a new step into Human Evolution. "Working Together for a Sustainable Future"
​More Products will be coming soon. START using the Quantum Technologies and Energy of your Body. More advanced pain relief application, specifically and exclusively for human and veterinary medical use. Intelligent unique configuration of constant and gradient fields, which have been shown to be clinically effective for muscular skeletal Pain Relief. Magnetic/gravitational fields cause vasodilation, which increases the flow of oxygen and other nutrients to the affected tissue, and takes the final products of cellular metabolism in the affected tissue, augmenting the body’s natural healing processes. Magnetic fields cause lymph vessel dilation, which accelerates the reduction of swelling, a major source of musculoskeletal pain, and increases nutrition in the tissue. The programmed magnetic material, which applies a combination of constant and gradient fields that assure a sufficient magnetic/gravitational field dose, is applied to both superficial and deep affected tissue. It will modulate the body’s normal production of anti-inflammatory chemicals from cells in the affected tissue, and will accelerate pain relief and increase blood flow instantly. Keep away from electromagnetic fields. Q: How long will the pad last? A: Minimum of 10 years with proper use. Shipment Options: processing time up to 1 week. In Stock items shipped in US with Priority Mail Shipment. ​We have FOUR types of Kits: CO2, ZnO, CuO and CH3 Gans Kits. Better Future for the Planet! to produce more and free energy without adding to the global warming. 1 X Nano-Coated Copper Plate 3X6" or 4x5" - Plate can be re-coated many times to allow for different GANS capture! 1 X NOT Nano-Coated Zinc Plate 3X6" or 4X5" - A Pure zinc plate that created the condition to capture GANS of CO2. 1 X Nano-Coated Zinc Plate 4X5"
1 X NOT Nano-Coated Zinc Plate 3X6" or 4X5" - A Pure zinc plate that created the condition to capture GANS of ZnO. 1 X Nano-Coated Copper Plate 3X6" - Plate can be re-coated many times to allow for different GANS capture! 1 X NOT Nano-Coated Copper Plate 3X6" - A Copper plate that created the condition to capture GANS of CuO. 1 X NOT Nano-Coated Galvanized Iron Plate 3X6" - A Galvanized Iron plate that created the condition to capture GANS of CH3. OR 1 Rusted Iron Nail. - GRAPHITE PLATES are AVAILABLE for Sale. Graphite can substitute the Nano Coated Plates. The advantage of Graphite: NOT need a re-nano coating and can be used longer as nano coated Copper. ADD extra Graphite Plate to your Kit for extra 5$. Graphite Plate size is 3X6"
Shipment Options: Priority Mail Shipment in US (2-3 days). Materials in just few minutes. 1. Always treat others to achieve desired full relief. Self treatment is little less effective. and left hand if you are a female. /her intentions to be relieved from pain. Ends of a certain part of the body. Apply atleast 30 seconds - 3 minutes. Shipment Options: Priority Mail Shipment in US. Or use CANON to Charge the Water. ​Using plasma technology, which is based on magnetic-gravitational field interaction, the Canon emits plasma fields that penetrate up to 1.5” below the skin, helping to bring the body back to balance. Plasma field also charging the water. High Blood Sugar; Lack of Energy. all covered with CO2 and CuO Gans. ​In Your Canon you will see some crystals: clear quartz, fluorite, kyanite and others. Crystals will help to amplify the energy flow. The Canon is very simple and easy to use. It is coming in a Glass test tube, dont open it, just place the Tube inside the Cup/glass with water, let it stay in the water for 24 hours, drink it up to three times a day. Inside the Tube you will see: one nano coated Copper Wire, one nano coated Copper Coil, they both are covered with Gans. The Blueprint for this Construction was created by Armand Beau, it is helping to increase the energy flow, Gans are creating the Plasma Field, so through the Gans and Nano Copper we will be re-structuring the water. We are calling this water - Gans or Plasma water. GANS are used to program/energize/restructure the water. This water is Gans Water. Plasma energy has the highest vibration, and it is helping our body (which also energetic in structure) to balance and heal everything what need to be healed and balanced. That's why it is very beneficial for our Body to drink this re-charged or re-structured water, which we can created by using our Nano Health Canon. Reduce Stress, Speed up the healing. 1) Apply on affected areas for a few minutes (or few hours). 2) Don’t open the Patch (it will work till the last drop of Gans water inside). 3) Always mentally say your Intention for the Healing. Simple Healing Patch: Paper Towel, CO2 Gans water/some CO2 Gans, Zip-log Bag. If the paper towel will be too dry, please, open the seal, DO NOT touch the paper towel, add a little bit of a sea water or water with sea salt, after that seal the bag and use it again. 30 minutes of treatment with a Patch, he was feeling so much better, and you can just see that his swelling was going down. I also was using a Pain Aid Pen on him for 10 minutes. They works great together - patch and Pen. And after second treatment with a Patch his heel was back to norm! He is a very skeptical person, but he was amazed with the results!" My sweet little dog is a scavenger and dug up an aluminum pie plate from under the snow and carried it home to play. Unfortunately I forgot to retrieve it from her. This morning when I awoke, she was on the bed looking miserable, sad, spiky hair, and lethargic. As she yawned I noticed her tongue and gums were bright flaming red, as well as her ears. I immediately got my new CO2 patch, I petted and massaged her with it, as she rolled around loving it. Her head, her ears, her back and belly, all over. After 5 minutes she got up and wanted to play. I was tossing her toys and she was happily running around. I noticed her tongue and gums were still red, but she was happy. After another 10 or 15 minutes, I was getting her prepared for our walk and noticed her tongue, mouth and ears were no longer red but the natural flesh color again. Amazingly simple and effective solutions with Keshe technology. Thank you Mr. Keshe!" I had residual pain and by now many arthritic deposits on my right shoulder. Accident and surgery 9 years ago. So I put this health pouch under my right shoulder. It was instantly cooling and relaxing, and then started warming up. I was so calmed by this that I fell almost instantly asleep. Two hours later, I woke up and stretched my right arm... there was NO restrictions to any movements in my right shoulder, with maybe 14 or more bones and tendons seemed to move back into place all around my shoulder area and make popping sounds. 9 years and now NO pain in my shoulder area and it is freely moving in every direction. Just Incredible. PERFECT!! Thank you for this amazing improvement to my health and well being." Shipment Options: First Class or Priority Mail Shipment in US. helping to bring the body back to balance. parts or batteries, making it lightweight, durable, portable and versatile. 1) Apply on affected areas for 30-40 seconds daily, up to 5 times a day. 2) Hand wash with water (maximum 30 degrees Celsius) and soft soap. 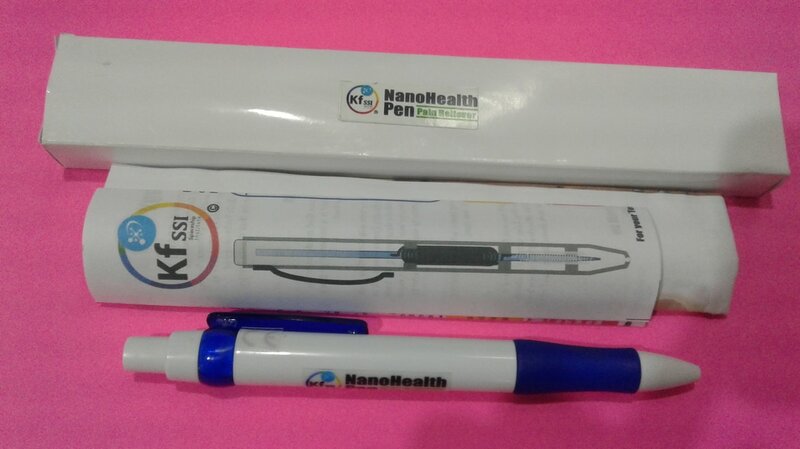 Nano Health Breathing Device/Straw with CO2/ZnO/CuO GANS. ​and fixed around the simple Straw. Just breathe through the Straw 5-15 minutes or more several times a day. You also can drink a pure/alkaline water through the Straw. For Personal use Only. Don't share with others. Could be your favorite Nano Product for the Summer time! Coming with small Tube of CO2 Gans water with some Gans. ​ and enjoy the CO2 Gans Mist. All you will need is 2 AA Batteries/not included. Use it as regular Fan all day, or as CO2 Misting Fan for a few minutes a day. spray it on the face or your body. more testimonial will be coming soon. Item is coming with a small container with CO2 Gans and Gans water. 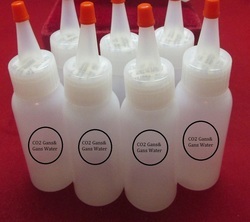 CO2/ZnO Gans&Gans Water 2 oz/50 ml. in a small PLASTIC SQUEEZE BOTTLES. If you would like CuO Gans - we can take pre-orders. GANS should never be touched or consumed. GANS are used to program/energize/restructure the water. This water is Gans Water, and this water we can use for different applications. and it is helping our Body (energy/emotional/mental/physical) to balance and heal different issues and unbalances. CO2 Gans will heal and balance our Blood system and emotional body, releasing and reducing stress and tension, improving level of oxygen and overall energy level. It will activates cells, revitalizes the body and strengthens the immune system. ZnO Gans (due to a large amount of Zinc) will speed up the healing process, and also will be working on cellular level. Zinc is a key component in more than 80 human metabolic cycles and plays an important role in the healing of wounds. CuO Gans will heal and balance Lymph system and Physical body overall, it affects the muscle tissue and the nervous system. Copper is responsible for good communication through the nerves and copper acts as a disinfectant. CH3 Gans gives energy to the body, CH3 GANS water will strongly energize the body and is nutritious. The energy of the hydrogen of the CH3 GANS water becomes food for the body, when plasma will be transferred to the molecules of the cells of a living body. CH3 gans will balance the Neuro system and will balance and increase the energy flow. Please visit the site to learn about Plasma technology in health, energy, agriculture, how to make gans' and more information about different types of Gans. Drink daily few drops (for ZnO, CuO and CH3 Gans) and up to 1 tea spoon (for CO2 Gans) Gans water. Use only Gans water, NOT Gans itself. To make a detox process more gentle - add Gans water to your regular water, drink it up to 3 times a day. Place Gans Water on the paper towel, zip it into the ziplog bag and your Nano Health Patch is ready. chronic or sharp pains, and corrects neurology nerve damage. Can be used for people and pets. Just hold bottle near/against injury or painful area for 15-30 minutes/ up to few hours. Use it for any pains or inflammations. add more water up to a Gallon (use pure or Alkaline water), wait for 24 hours, and you will have a Gallon of Gans water. Repeat this process as much as it will be needed. ​Liquid Plasma Spray is a mixture of CO2 Gans water plus ZnO Gans water. Charged and cleared with Crystals. Liquid Plasma Mixture Spray Application: On the face- revitalizes the skin, refreshes and rejuvenates the skin. Spray on your Body at least twice a day. Scalp and Hair Application: You can regularly spray and rub Liquid Plasma on the scalp and in the hair. It soothes the scalp, strengthens hair follicle roots and has been shown to bring the original hair color back. Eczema Application: Spray the affected skin areas, very rapid improvement has been reported. Bug bites or cuts on the skin Application: Sprinkle the area several times. Hold this bottle next to the painful area for 15-30 min, effective to treat pains and inflamations, and corrects neurology nerve damage. Use for people and pets. These high quality Cobalt blue Glass Bottles with Fine Mist Sprayers, are perfect for storing your Liquid Plasma. The Cobalt Blue glass provides protection from potentially harmful light and the convenient size makes it perfect for traveling. Liquid Plasma drinking water/16 oz. ​Liquid Plasma is a mixture of CO2 Gans water and ZnO Gans water. CO2 Gans will heal and balance our Blood system and emotional body, releasing and reducing stress and tension, improving level of oxygen and overall energy level. It will activate cells, revitalizes the body and strengthens the immune system. CO2 GANS water is very beneficial to all kinds of muscle injuries. When used as a spray it immediately relieves pain. ZnO Gans (due to a large amount of Zinc) will speed up the healing process, and also will be working on cellular level. Zinc is a key component in more than 80 human metabolic cycles and plays an important role in the healing of wounds. ZnO liquid plasma interact with the fields of human emotions and therefore can be used to strengthen and balance human emotional needs. Liquid Plasma drinking water: drink Liquid Plasma daily. Because it will be detoxing your Body we recommend you to star with 1 tea spoon a day, slowly increase to 1 ts up to 3 times a day. Can drink it as it is, or add to your regular water. Use for people and pets. Keshe Foundation new product, amazing Plasma Knee Wrap will give your Knee high energy support and provide to your knee healing 24/7. You can wear it 24/7 or just for an hour or 30 minutes a day, can be used overnight. Knee Wraps are very easy to use, they are adjustable with Velcro attachments. We have Knee Wraps in TWO Sizes: large and Small. Colors available are: Tan, Blue, Coral Pink. ​Processing time for your Order - Up to 1 week. Our amazing Plasma Waist Wrap is working great for the Pain Aid in your Body/spine, back, waist/, it is working similar to the Pain Aid Pad, but because it dint have any magnets or metals inside it will be safe to use to everyone. 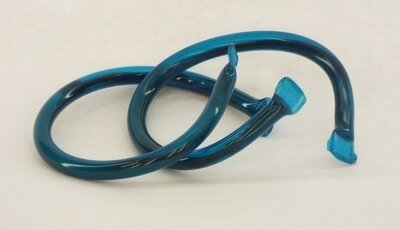 Waist Wrap with plasmatic inserts to allow for energy balancing in area of need. Medium - Available in Black only. Fits pant size 71 - 76 cm (28 - 30 inches). Large - Available in Tan only. Fits pant size 81 - 89 cm (32 - 35 inches). XL - Available in Black only. Fits pant size 89 - 97 cm (35 - 38 inches). XXL - Available in Tan only. Fits pant size 97 - 109 cm (38 - 43 inches). Each wrap comes with 4 plastic insert pouches containing dry Gans/ the energy fields to relieve pain and assist in the healing process. Please visit the site to learn about Plasma technology in health, energy, agriculture. Please email us the Size of the Wrap. Shipment Options: Shipment in US/processing and shipment can take up to a week. Plasma Eye And Migraine Mask. ​Size: ONE Size fits all. 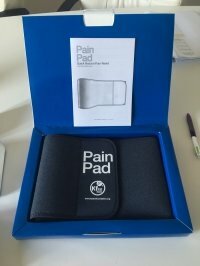 Our new product: Therapeutic and massaging Plasma Insoles! Thanks to the plasma insoles, your feet feel better, your back feels better, and so your body. Just put the insoles on your feet and chill for 30 minutes twice a day, the magnetic-gravitational field generated by the Gans inside the insoles will restore the balance by reducing stress. pain and tensions in ankles, knees, and up to your back. 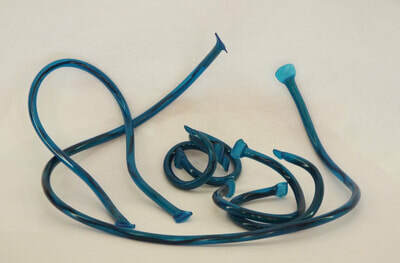 The Plasma water and Gel Flows and moves to the exact shape of the foot to displace pressure and weight equally. Ultra-thin, gives you comfortable support. Cooling and relieving burning heat from sole. Recommended to be used at home or at the office for no more than 30 min, 2 times per day. Size: ONE size fits all, Cut to your size. Do not miss the opportunity to have your own Magravs Energizer & Alkalizer. Use it at home, use it in the office. It makes a great gift idea for any occasion. Revitalize and energize yourself for a good well-being! The Magravs Energizer & Alkalizer cylinder alkalinizes water through the interaction of the magnetic and gravitational fields naturally present in the environment. 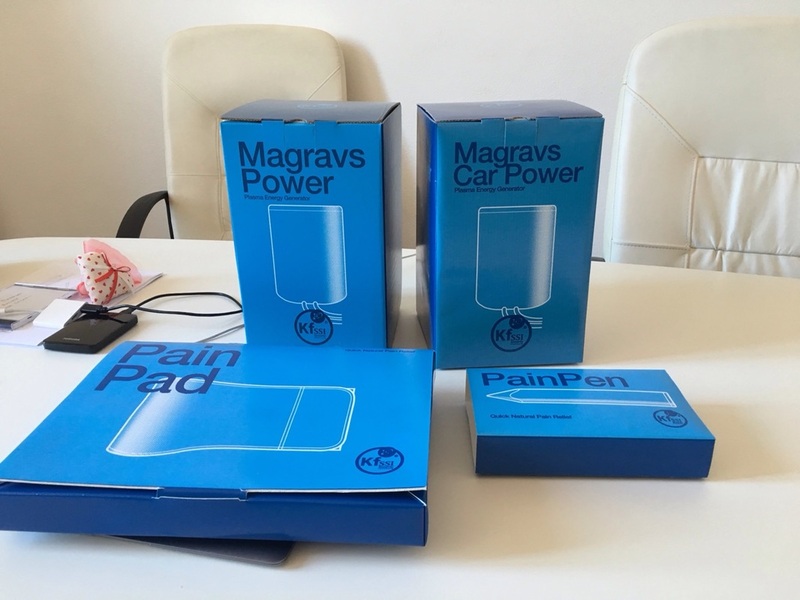 Magravs Energizer & Alkalizer is the world's first portable system that alkalizes water WITHOUT getting into contact with it and WITHOUT ever deteriorating. It DOESN’T have filters or spare parts. It also DOESN’T have batteries or other reagents. Drinking water alkalized in this way allows our body to become basic hence absorb more oxygen. Just after a day of drinking this water, it gives wellness and energy to the body. The product is shipped within 90 DAYS from the PAYMENT confirmation. Shipment Options: Shipment from Italy up to 90 days. More information, new pictures and prices - see at the Next Page: Dr Ropes Collections. to balance and improve your health and wellbeing. Nano Plasma Units will help you to relieve, heal and balance different kind of pains and physical and emotional ailments. Use a Whole Full Body Set or as Separate Units. 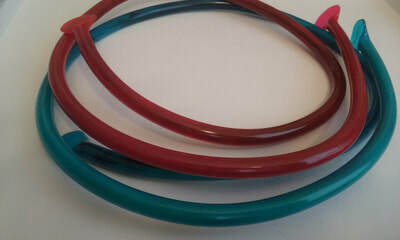 We have Units in Three Colors: Black (limited availability), Blue,Red. 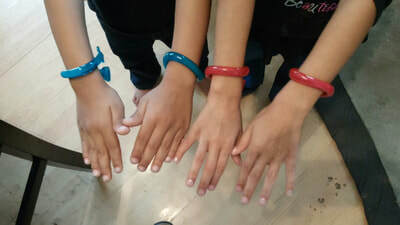 WristLet/Set (bracelets) – apply to balance issues with hands, arms, shoulders. AnkLet/Set – apply to balance issues with legs, feet, hips. NeckLet – apply to balance issues with upper body: head, neck, shoulders, chest, upper back, lungs and partial intestines. WaistLet – apply to balance issues with lower body: lower back, reproductive system, intestines, hips, thighs, and knees. ALL Units will create a Plasma Filed around your Body. 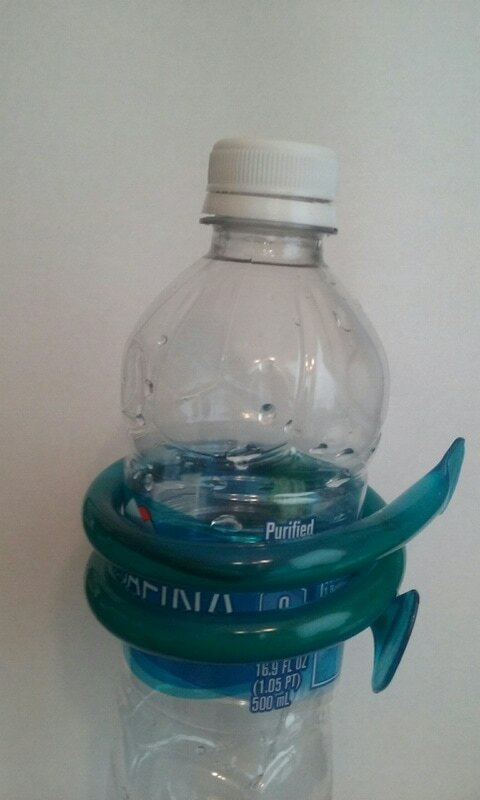 WrapLet - wrap around the water bottle or cup to make an easy Life-Bottle or Life-Cup to charge your water with Plasma. Nowadays, back pain is becoming one of the most extend problem of the century. In everyday life, the spine is in great demand. It is therefore not surprising that lumbar pain, also known as back pain, is one of the main reasons to consult. A recent study has been done by American and Australian researchers on the subject. In fact, by analyzing the statistics of 187 countries, they determined that about one-tenth (9.4%) of the world's population, including children, were suffering. Today, 1 out of 5 people have had back pain for less than 3 months, which is considered chronic back pain. In most cases, back pain is mechanical, however, for about 1 out of 20 people, the pain is of inflammatory origin. These people can wait up to 10 years or more before the cause of their harm is properly diagnosed. Keshe Foundation Italian research center is pleased to present PLASMA SEAT PAD. The PLASMA SEAT PAD with its own MaGrav plasma fields and has no moving parts or batteries, making it a lightweight, durable, portable and versatile instrument. It can easily be transported in the bag provided. PAD seat adapts to any type of chair or seat, car seat also, you can now enjoy comfort and relief very quickly. Shipment Options: Shipment from Italy, up to 30 days. Life Cup or Nano Health Cup is another great Plasma Technologies Healing Tools to make your life and your Body balanced and healthy again. By using the Plasma Wellness Cup you will be restructuring your water/or drinks through the interaction with Plasma Field. These double walled acrylic cups come in 16 ounce or 20 ounce and in 4 colors for each model. You can choose your size and color. These cups are an easy way to infuse any cold beverage you wish with balancing energies that will allow the body to function in harmony. The cups come with color coordinated straws. These cups can also be used with no liquid in them to energize the air you breathe when the straw is inserted into the fields of the gans materials. How to use a Health Cup? Just put your drinks inside the Cup and drink it several times a day. Use alkaline and pure water. Also you can use a Cup without any liquids inside, and just breathe through the Straw for a few minutes several times a day. What is inside the double layer in the Cup? Those “Guardian Angels” for your Home/Office will help you to balance and harmonize the energy of the House or any space. They are charged with Reiki and Healing Energy on so many Levels. Handmade Canvas plus Crystals and a Scroll. (they will be working any way!). Turquoise, Pale Yellow, Magenta Pink, Violet. Each Color will help you to balance yourself and your space. And another powerful tool is an old time Special Protection Prayer Scroll. 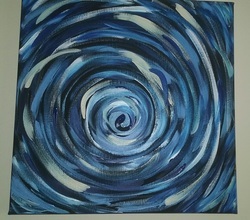 Please, place a small bag with crystals and scroll behind your Canvas, it will help to amplify the energy flow. All those things together will help you to protect your Living Space from dark energies, entities and other unwanted influences. May you live in Peace and Harmony always! Magrav Starter Kit With Case. one set of 8 connector blocks and one thermal switch. Shipment Options: The product is shipped within 30 DAYS from the PAYMENT confirmation. ​As usually in US it will be shipped within a week. Shipment: 1-2 weeks, shipment from Arizona,US. and produce electricity for the grid! This is the ON-GRID Magravs-Power Universal System. With this product, you are able to support the main outlets in your house. This allows the system to increase the supply that you are receiving and meet the demand that you are using at that point. Instructions will be provided via this website for easy setup! The offered version is CE certified. which give good information about the power system, how it works and how it affects your home, the wiring in your home etc. It is fascinating! Plug types available are F and G. You will need an adapter to use it in US. We do NOT have this Item in Stock, it will be shipped from ITALY ONLY. Shipment Options: Shipment from Italy - up to 90 days. ​This is the OFF-GRID Magravs-Power Plasma Generator! Magravs-Power Plasma Generators are now on sale as per the 118th Knowledge Seeker Workshop. The system was shown powering multiple appliances with no support from the main power grid of the house. It was advised, during the workshop, that the systems have a maximum output of 3 KW. It is not within warranty to go beyond the maximum, however, independent testing is encouraged. More information can be found on the 118th Knowledge seekers workshop, and provided when more information is available via this page. Plug types available are F and G.
We do NOT have this Item in Stock, it will be shipped from ITALY.